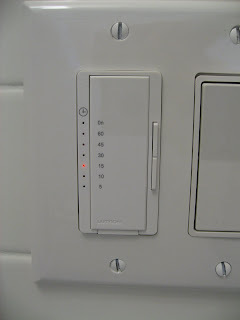 The switch shown above, by Lutron, is easy to program (just touch the narrow buttons on the right to increase or decrease the set time). 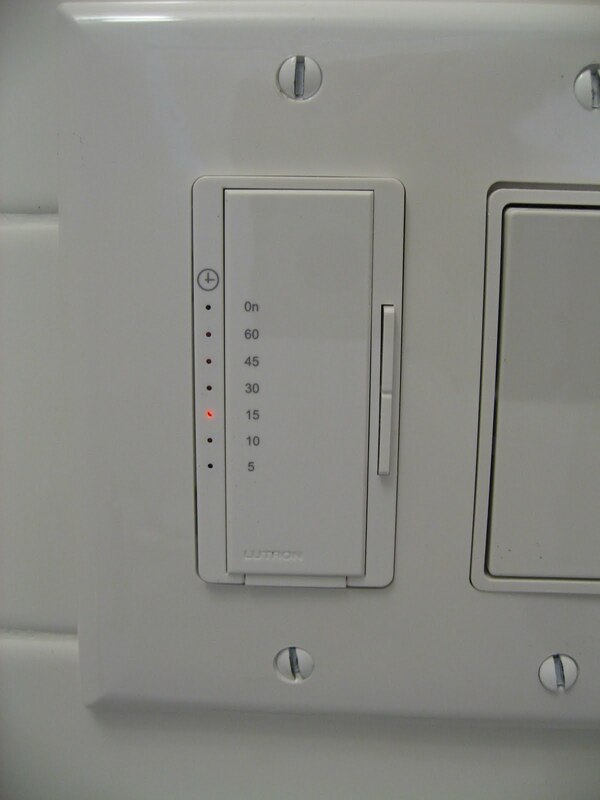 It's also easy to install, as it goes in just like a regular outlet, so it can easily be retrofit for existing construction and any fan (just remember to take all appropriate safety precautions when messing with electricity, or call in an expert). The one shortcoming of this bath fan solution is that, unlike the (theoretically) humidity-sensing fans we looked at yesterday, you have to remember to turn it on. I give it a solid A. You know I never really knew the purpose of those vents? I usually don't turn them on because I find them loud and annoying. Yeah for learning something new! Why Are Ceiling Fans Always So Ugly? !